Today’s business landscape is more competitive than ever before, and companies have to work hard just to stand out from the pack. In these circumstances, creativity can become a key differentiator for your organization. 82 percent of executives agree that companies benefit from creativity (although 61 percent of them don’t see their own company as creative). Creativity is especially important for activities such as branding, advertising, and marketing. Not only does your company have to get customers’ attention and show how you’re different from your competitors, you need to communicate an on-brand message that succinctly conveys the most important selling points of your products. Unfortunately, putting this concept into practice isn’t always easy for many organizations. Far too often, creative projects have missed deadlines, blown budgets, bottlenecks during review and approval, and miscommunications between different teams and managers. In recognition of these problems—and in search of a way to resolve them—a growing number of companies are investing in creative operations. This article will go over everything you need to know about creative operations: what it is, why so many businesses are interested in it, and how you can start implementing it within your own organization. At first glance, the words “creative” and “operations” might seem to be diametrically opposed. How can something as free-form and elusive as creativity be part of a corporate environment? Yet despite the apparent oxymoron, a growing number of companies are including creative operations in their business workflows. So, why is creative operations important? Any organization interested in making their creative production processes more efficient, productive, and compliant would do well to investigate creative operations. Broadly, creative operations—sometimes called “creative workflow”—is defined as making the creative process within a business more structured, helping employees move faster and produce better work. Formally defining the creative processes in your organization, and understanding how they can be streamlined. Identifying gaps in technology that are holding back your creative workers, and locating tools and solutions that will help address them. Optimizing the people, processes, and technology involved in creative work, so that the final product is always of the highest possible quality. Selecting the right metrics and KPIs to judge the success of creative projects. Timeliness: Are the organization’s creative assets being delivered on time? Are there any bottlenecks or inefficiencies throughout the creative process? Capacity: Is the creative team currently producing assets at or near maximal capacity? Are they understaffed or overstaffed? Compliance: Are the organization’s creative assets following a structured production pipeline? Are they being reviewed and approved within an acceptable timeline? Creative operations is the discipline responsible for answering these questions. By adding tools and metrics that can better measure the creative process, creative operations helps you understand and improve the way that creative work is performed in your organization. Implementing creative operations in your organization first requires a complete and honest understanding of your existing creative workflows. Not only will this help you visualize how creative operations will fit into your business, it will help you find institutional gaps and problems that can be streamlined and improved. This section will discuss the steps that you should take when analyzing your current workflow for creative operations. Creative projects should be handled responsibly and with care, like any other project that your business carries out. First, understand who typically requests creative work, and the mechanisms and channels by which they do so. In order to capture all of the necessary requirements, many organizations draft a creative brief: a document for advertising and design projects that outlines the vision for the project as well as the details of how it will be accomplished. However, a creative brief does little good if it’s not actually adhered to during the project. Managers must oversee the project’s implementation, checking in at regular intervals to make sure that the creative team is staying within the estimated timeline and budget. Understand how resources are assigned to different team members, and determine whether this is the optimal allocation. How is feedback on creative work sent and received? Who is responsible for giving feedback? What is the process for incorporating feedback into new revisions of the work? How long, on average, does it take to go from the first version of the work all the way to final approval? Which stages typically take the longest, and why? Do projects get stuck waiting for approval? If so, why? Are there not enough people available to perform reviews and approvals? Are there certain types of projects that take longer to be approved than others? How many people are part of the review process? Does this seem like too many, or too few? What are the roles and responsibilities of each person? Is there a particular person or group of people that seems to be causing bottlenecks? By now, the two steps that you’ve gone through above should be more than enough information for you to understand your existing creative operations processes. The next step is to build a flowchart that will visualize your entire workflow, top to bottom. Process: The entire set of activities that will be mapped by the flowchart. Task/Activity: An action performed by a person or system that may consist of multiple subtasks. Participant: A person or system performing a task or providing an input. Flow: A connection between activities in the same sequence, as indicated by a line or arrow. Event: Something that happens and causes a process to start, change, or finish. Gateway: A decision point that changes the course of the process based on certain conditions or events. Once you’ve outlined your current processes using flowcharts, you should have a much better picture of where the hiccups and delays are in your creative workflow. The question now is: what to do with this information? If you’re completely new to the field of creative operations, it might be wise to work with an outside expert who can help you along the way. While it’s not hard to see the benefits of implementing creative operations for your company, it’s certainly easier said than done. The right third-party partner can help advise you on your specific situation and the tools and technologies you need to call yourself a truly creative, data-driven organization. Why Creative Operations, and Why Now? In the past several years, interest in creative operations has exploded. Trendsetting companies such as Macy’s and Prudential were among the first to implement a role for “Vice President of Creative Operations.” Now, however, it seems that nearly every company over a certain size has someone who fills these shoes. 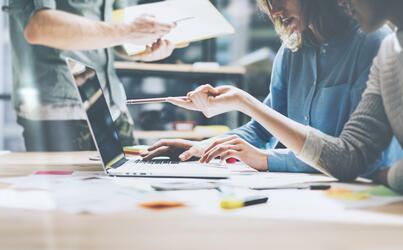 Higher demand for creative assets: Recent business trends such as big data have made organizations hyper-aware of how they can better segment and target their customers. However, launching more marketing campaigns requires more creative assets—which the creative team isn’t always ready to produce. Having access to additional creative assets will therefore require either hiring more creative team members, or making more efficient use of current employees’ time through creative operations. Complex processes: The creative process within an organization can be highly complicated as individual employees swap emails, instant messages, notes, files, and more. Digging through your computer to find a particular message or document version can be a painful, time-consuming exercise. Creative operations helps you organize your files and streamline communications, providing more metrics and visibility. Puzzling inefficiencies: Bottlenecks and wasted time are an unfortunate reality of many modern business processes, but there are certainly ways that organizations can seek to reduce them. However, significantly altering your creative processes will require a well-reasoned argument for how these changes will be an improvement. Creative operations gives you the ammunition you need, in the form of data and analytics, to identify the most pressing issues with your creative processes. Compliance reasons: Companies in industries such as healthcare and finance are subject to legislation (HIPAA and Sarbanes-Oxley, respectively) that prevent fraudulent activities and misuse of customers’ data. By providing more oversight of the creative process, creative operations can help your business prove compliance with the applicable laws and regulations in the event of an audit. The need for more content is driven by a number of factors - increasing competition, improving the customer experience and ensuring all avenues in the omni-channel environment are covered. There is an "always-on" demand, for up to date rolling content that contributes to this troubling trend for brands. 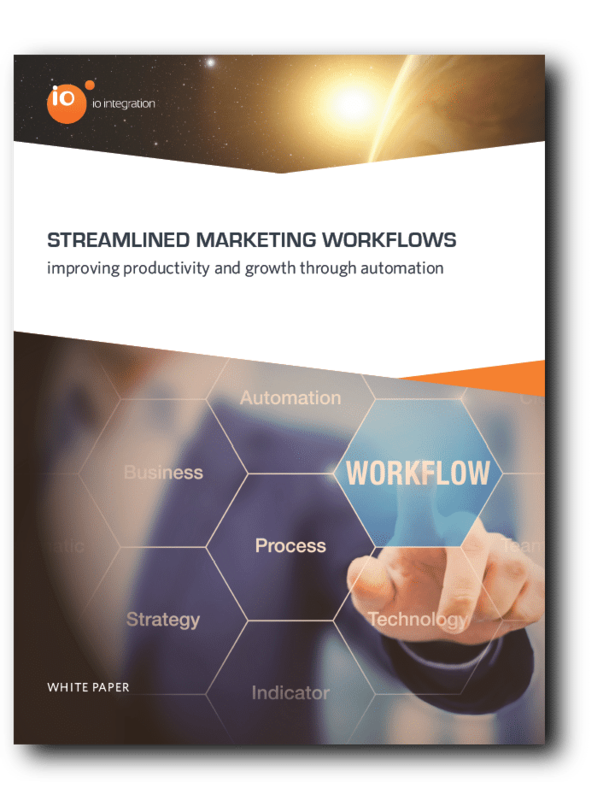 Download our free guide to learn more about how companies just like yours are investing in digital workflows tools, asset management technologies and approval solutions; which are all designed and delivered with the aim of streamlining operations. Increased collaboration: Without end-to-end oversight of your creative processes, your employees will likely try to pass the buck when you encounter problems, assigning blame for delays and problems to anyone except themselves. What’s more, you won’t have a way of determining who’s actually correct. Getting more data on your creative workflow helps you understand exactly where the issues are, and what the best ways are of fixing them. Armed with information about where they’re falling short, employees can organize around the three common goals of timeliness, capacity, and compliance. Data-driven decisions: Before implementing creative operations, a great deal of “gut feelings” go into your judgments and business decisions. Creative teams are forced to make their best guess about what they’re capable of given their prior experiences. By collecting data about the creative process, your employees will have a much better understanding of what is (and isn’t) possible within a certain timeline. In addition, teams can formulate better arguments that they need additional resources, budget, or manpower using historical data. Creative operations can be used in any industry where companies have a sales and marketing department. In this section, we’ll go over some of the ways that different companies in different industries have successfully implemented creative operations for their organization. Advertising is an industry that’s highly dependent on creativity and finding new ways to capture customers’ attention. Creative workers in the advertising industry constantly face demands to create excellent campaigns across a variety of media channels, all while facing time pressure and budgetary constraints. By streamlining their workflows, advertising companies can focus less on the mechanics of the actual process, and more on innovative ideas that will draw in customers and beat their competitors. In addition, thanks to automation technologies, many advertising companies can save a great deal of labor when creating, producing, and delivering content. With email, social media, native advertisements, streaming video, and a variety of other digital platforms, in-house marketing departments have more on their plate than ever before. Managing and distributing content across each of these channels, while maintaining a consistent message and an exceptional customer experience, is by no means an easy feat. By leveraging cutting-edge technology solutions for creating and delivering content, you can vastly simplify the creative process. Maintaining your branding and messaging within a single central hub will help you build the right campaigns for the right people and get them reviewed and approved more quickly. Running effective advertising and marketing campaigns is crucial for retail companies: they spread awareness of your brand, attract the right clientele, and communicate new sales and promotions. 60 percent of consumer goods purchases are made based on the strength of their brand communications. However, orchestrating better campaigns and targeting the right customer segments will require the right technologies and a more organized, more efficient creative workflow. IOI recently helped one big-box retailer boost its sales by $10 million by making a few key adjustments to its marketing workflows. For example, the retailer now takes 4 months, instead of 6 months, to produce weekly newspaper inserts and direct mailings, and requires one-third fewer staff to do so. Sales and marketing departments in manufacturing companies face challenges unique to their vertical. With a variety of products on offer, businesses need to run a variety of campaigns targeting different audiences across multiple channels—all the while maintaining a consistent branding, logo, tone, style, and more. Producing campaigns for different locations, regions, and languages in both digital and print media can be taxing on even the most skilled marketers. That’s where creative operations comes in: helping you make your creative processes more efficient and effective with the right tools and technologies. The publishing industry is changing rapidly as more and more people choose to consume publications on digital devices such as smartphones, tablets, and e-readers. Many publishing companies are operating on razor-thin margins in terms of both time and budget in order to release the content that their readers are hungry for. Offerings such as IOI’s DALIM ES online proofing software dramatically simplify and speed up the creative process for publishing companies. DALIM ES allows teammates to share, review, and mark up proofs from any device with Internet access. The software also includes features such as version control and real-time status tracking that are critical for creative operations. Review the flowchart that you created for your existing creative processes. Understand where the problems lie, and how you might go about fixing them. Talk with important employees and key decision-makers about the issues that you’ve identified. Try to find the root cause of these problems and their suggested ways of fixing them. Once you’ve completed this fact-finding mission, create a new flowchart that outlines your ideal process for creative projects. Start with the goal or output of the process, and work your way backwards to see what you need to arrive at each step. Overseeing deadlines for creative projects. If there’s an unexpected delay or problem with a project, the director of creative operations should be the first to hear about it so that the timeline can be adjusted if need be. Tracking creative production costs. Similarly, the director of creative operations is responsible for keeping the creative team on budget and finding any potential sources of wasted funds. Managing internal and external expectations. The director of creative operations should keep everyone on the same page—marketing, creative, executives, and clients—and provide updates at regular intervals. Serving as liaison between the marketing and creative teams. Direct communications between the two teams can distract from both of their missions; the director of creative operations should serve as the go-between for both parties. Defining and evaluating processes and technology needs. The director of creative operations is constantly assessing whether the creative team has the technology it requires to perform well, including working with a third-party technology partner if need be. Unless you have prior experience doing creative operations well at another company, we strongly recommend that you reach out to an outside partner who can assist you at every step of the way. 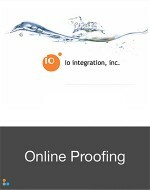 At IOI, we help business leaders find the right technology to optimize their creative workflows and unleash innovation. Creative operations can link up quite nicely with other solutions for making your marketing department more efficient and productive, such as digital asset management (DAM) and workflow software. DAM systems organize your creative and marketing assets under a single roof, making it drastically easier to find the content you need at the right moment. 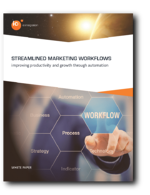 Meanwhile, workflow technology can help improve and fine-tune your business processes, increasing visibility with valuable analytics that help you understand how long a project is taking or how best to allocate your limited resources. Team leaders get the operational insights they need to assess both their team’s performance and the entire organization’s bottom line. The most important criterion is to work with a third-party technology partner who truly understands your company’s situation, needs, and business objectives. When both parties put in the effort at the beginning to establish a strong working relationship, you’ll be rewarded with a partner that better knows you and can propose the right solutions for your creative processes. 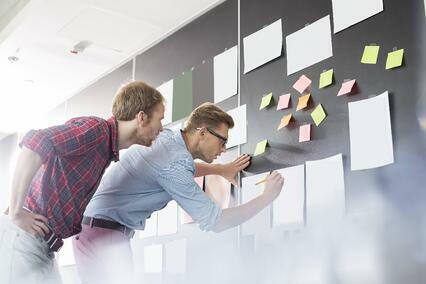 From improving collaboration to making smarter, data-driven business decisions, creative operations can bring a wealth of benefits to your organization. However, successfully bringing creative operations into your company will require a great deal of careful planning, analysis, and self-reflection in advance. By working with a third-party technology partner, you can receive a great deal of invaluable expert advice, as well as the enterprise software solutions that you need, in order to add creative operations to your business.